The Beagle is a lovable miniature hound with plenty of personality to make up for its small stature. It’s penchant for mischief makes it an amusing breed, but nothing most families cannot handle. It is very inquisitive, and loves to follow kids and other family members around the house. 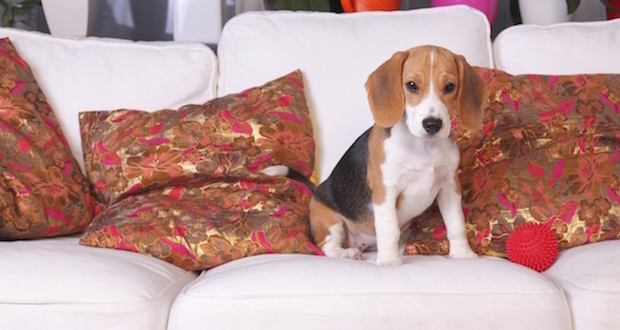 Easily trainable and loyal, Beagles are a great option for the home with growing children.